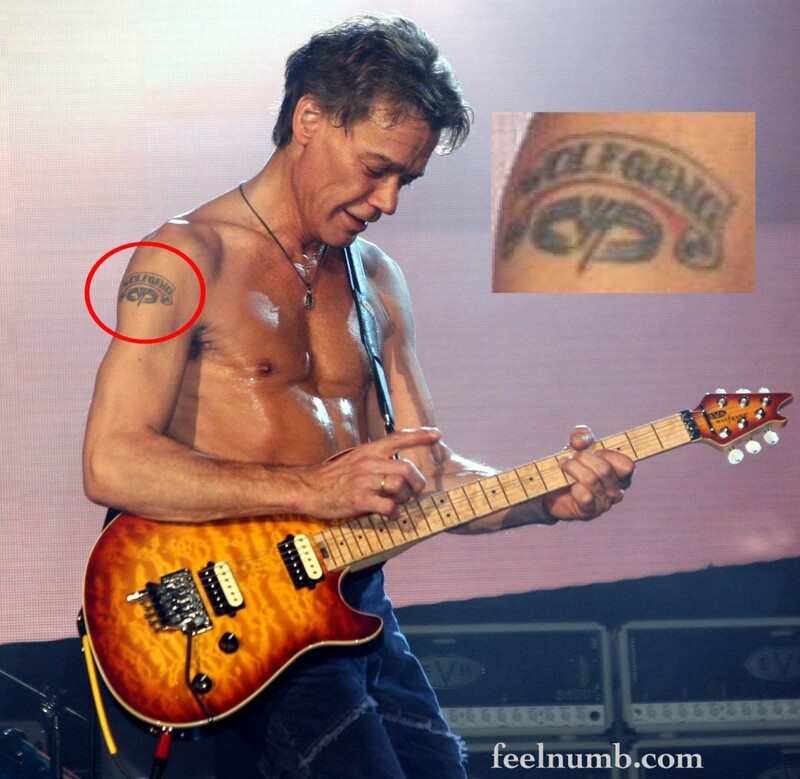 Eddie Van Halen has a tattoo on his right arm with his son’s name WOLFGANG above a Van Halen logo. Wolfgang Van Halen was born on March 16, 1991 in what is considered the “Van Hagar” era for the band with lead singer Sammy Hagar on vocals. The Van Halen logo tattooed on Eddie’s arm is not the bands original logo. This circular VH logo was first introduced in 1986 on the cover of “5150”, the fist album with Hagar. The new logo with curved wings instead of straight wings was meant to introduce a new era for the band. This is the original Van Halen logo that would have looked way cooler tattooed on Eddie’s arm. Which VH logo do you prefer??? Van Halen or “Van Hagar“?? ?